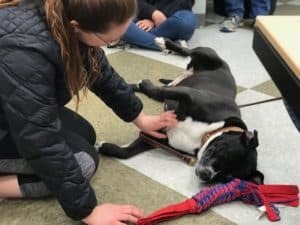 Touch between a human and a dog can have therapeutic benefits for both species. In humans, petting a dog can trigger the release of the bonding hormone oxytocin. 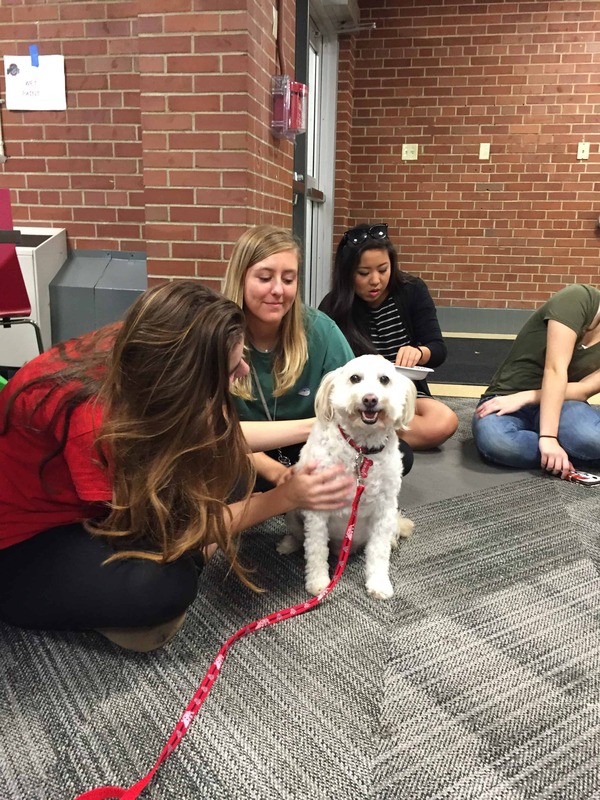 Feeling that fur can also lower your heart rate and blood pressure. Launched in September, 2006, the Acme Comfort Dogs is a local therapy dog group embracing the unique, calming nature and skills of well-trained dogs. 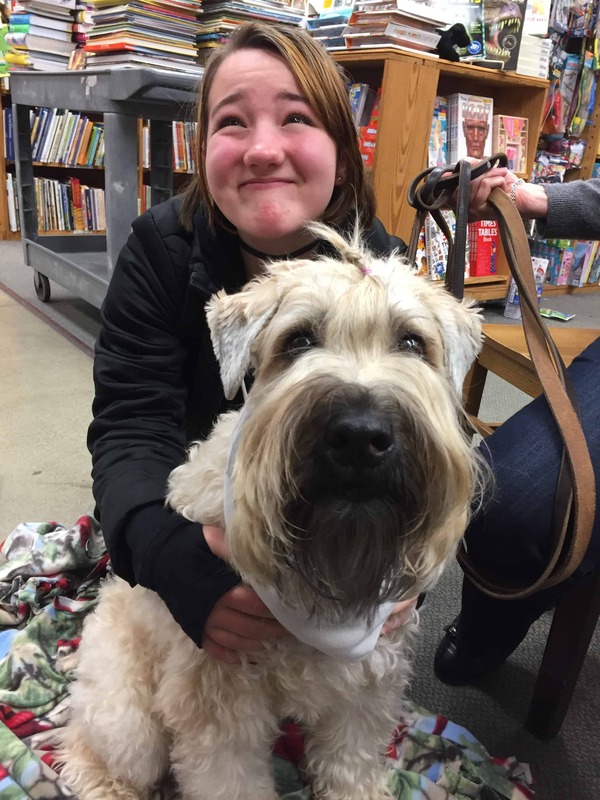 The Acme Comfort Dogs are a conduit for relieving stress, opening doors for conversation about reading comprehension and creating opportunities to share the good feelings of being with a loving animal. Acme Comfort Dogs are working animals, trained to interact with people of all ages and circumstances who need help with reading comprehension or are in need of stress-relief. 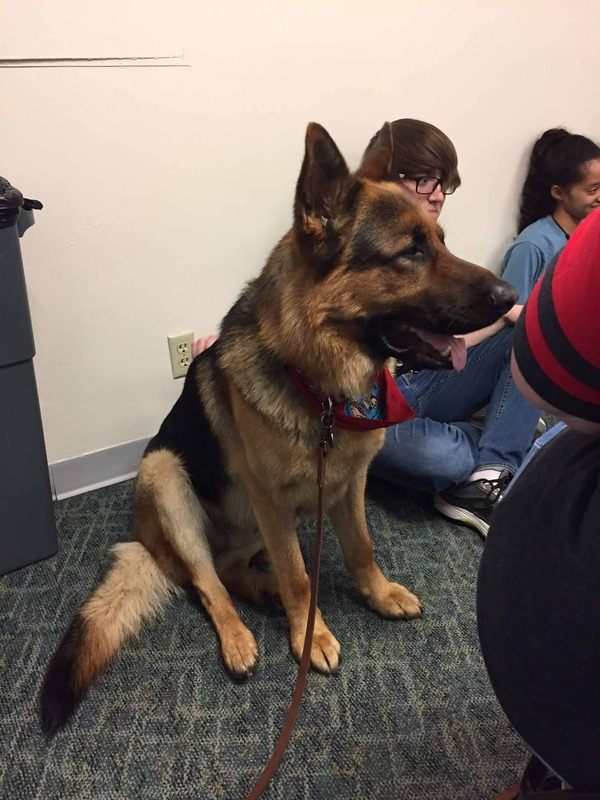 They are privately owned and trained to perform commands at high levels of distraction. 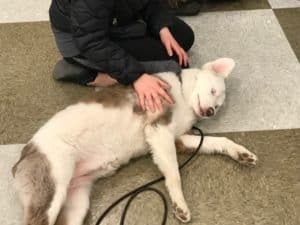 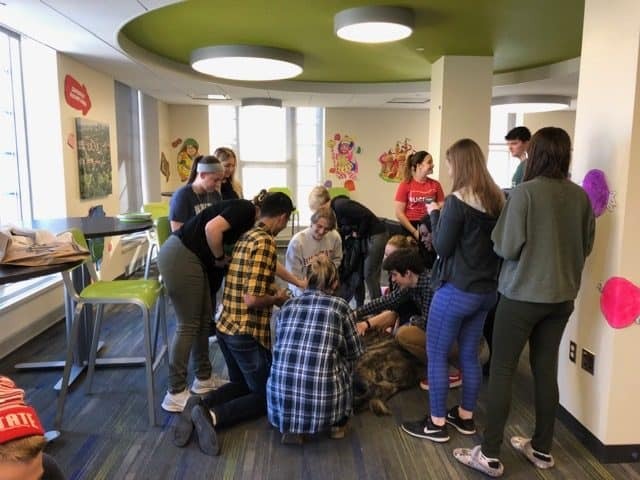 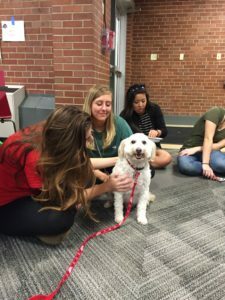 The dogs participate in scheduled and special events such as reading groups in schools, libraries and bookstores or at colleges such as The Ohio State University where they comfort and relax the students during mid-terms and finals. Listen to an interview on the Acme Comfort Dogs at Siebert Hall on The Ohio State University campus during their “puppy bowl” program below. 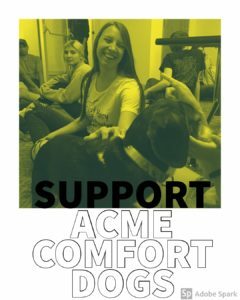 Should you wish to donate to Acme Comfort Dogs, please click here.